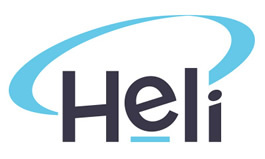 HELI » Delivering quality Higher Education. Easy, right? Quality in education, particularly higher education, doesn’t sound exciting. Let’s put it in context. Higher education is estimated to be a US$1.9 trillion global service sector. An awful lot of people are paying a relatively significant sum for their education. A smaller number people are using it to build great public and private institutions. Another group are taking the money and making profit. In higher education, like any other service organisation, quality matters. It matters because it’s a proxy for academic integrity and tradition. Assurance of quality in learning should be non-negotiable for anyone working, investing or studying in higher education. List the great education ‘brands’: Stanford, Harvard, MIT, Cambridge, Oxford, Imperial College London, University College London. They all share a reputation for great quality and academic integrity. It’s also worth noting that several of them are privately held (e.g., Stanford, MIT, Harvard, Yale). For a long time, from the founding of universities (the University of Bologna was founded in 1088 C.E.) to quite recently, quality assurance in higher education lay in the hands of the Professors. With only a few students studying in an elite, ‘sage-apprentice’ model, Professors saw it as their duty to protect the academic integrity of their field. Then higher education exploded in several waves. The transition from elite to mass higher education began in the USA in the 1920s and has accelerated since, notably in Britain. 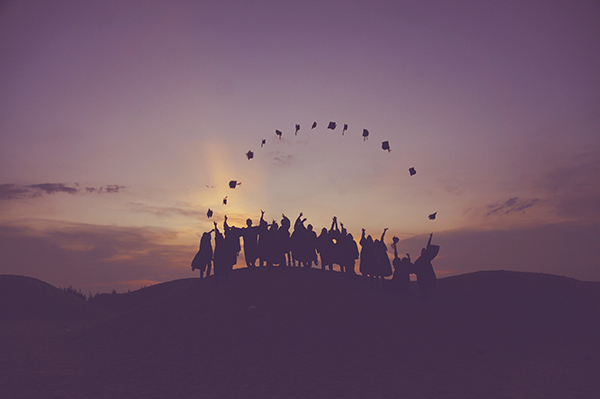 Between 2000 and 2014, UNESCO estimates that the number of students in higher education globally doubled to 207 million. Quality. In. Higher. Education. Is. Not. Simple. Quality assurance in higher education is a complex undertaking, which is sadly not well understood by some pretty important stakeholders. Notable in these stakeholders are politicians and regulators. Quality assurance in higher education is not simple because of the scale that educators and administrators are dealing with in higher education quality. Scale is further exacerbated by a raft of variables. What Constitutes Quality in Higher Education? The Association to Advance Collegiate Schools of Business (AACSB) is the leading international accrediting body for business schools. In their Business Accreditation Standards, they identify processes associated with managing strategy and innovation, participating students, faculty (academic) and professional staff, learning and teaching, and academic and professional engagement. These all influence the student experience and in turn graduate outcomes. Students’ experiences and outcomes feed forward positively and negatively into these processes. The sub-processes in turn each break down to further sub-sub-processes. Then we can overlay the difficulty of negotiating staff workloads. And then we can overlay the differences between disciplines. Overlaying this complexity, in Australia and worldwide we have huge change going on in higher education. Regulatory change. The privatisation imperative. Student expectations are high. Much of this is not easy, for individuals (academics and managers alike) to negotiate. It changes the livelihoods and careers of many. Understanding the strengths and resilience of those affected and those leading this change is unarguably important. This is especially so in the context of increasing demands for assurance of student learning, and high-quality research. Can We Assure Quality and Enjoy Sustainable Change? There are opportunities to leverage sustainable change for the benefit of the academic community and students. But, we have to think differently about change, since conventional change processes are fraught with risks and emerging issues, leading to unsustainable disorder. Take a look at Bob Mnookin’s work on Bargaining with the Devil for some prime examples. I’m concerned for colleagues, students and institutions alike. I’d like others not to go through the painful practical lessons that I have, or at least be better prepared than they might be at present. By learning from practice and from theory we should be able to counsel people through change more effectively than we arguably do at present. Effective mentoring and coaching should ensure that we can negotiate transitions to orderly futures, and write good stories about where we’ve been and where we’re going. But we’ve got to get away from overly simplistic views on how to assure quality and what constitutes good academic work and its management. We also need to understand that leading change is tough and that it should not be undertaken alone or by the inexperienced. Ignorance and poverty are out there. Education can fight them, but there are three key things that we need in education: quality, quality, and, above all else, QUALITY. But it is far from simple. Clive is an experienced academic leader and executive, having worked in both public and private higher education in Europe, New Zealand and Australia. Clive’s expertise supports the development of strategy and its execution through operations, with a strong focus on developing strategic maps and efficient business models. Strategic risk management is a strong influence on Clive’s work, as well as facilitating growth through managed change. Clive is an active researcher and has an extensive publication record.